Summer Roses are the perfect gift! Bright, sunny, fresh and cheerful. 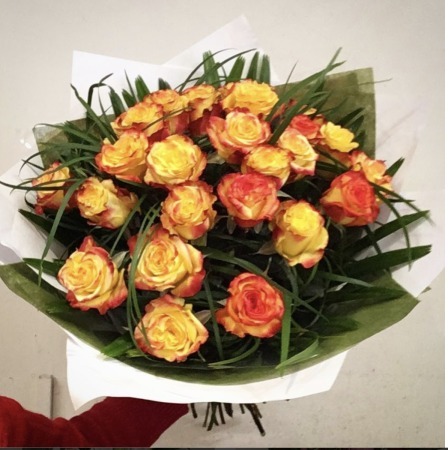 There is nothing more classic than a rose and in these gorgeous dual tones of oranges, yellows, and burgundy, you can`t go wrong!